The taste of the honey is fresh and sweet, and leaves a lingering sweetness on the tongue. I can’t really describe it, you may just have to try it out for yourself! Kumaon is of course a rather familiar name. A voracious reader even in my school days, I remember one summer vacation spent reading up all the Jim Corbett I could lay my hands on. His Man-Eaters of Kumaon was absorbing and thrilling, though it gave me many a nightmare after I finished the book! 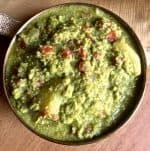 While reading up on Kumaon Honey, I came across this interesting recipe from a Blog on the Cuisines of Kumaon: Sliced White radish (mooli) and lemon dressed in a paste of roasted bhang (made from marijuana leaves and flowers) with green chillies, curd and Kumaon Honey! I wonder what that would taste like! 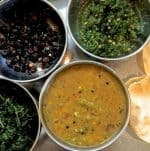 I would like to try it out with, but perhaps cautiously substituting the roasted bhang paste with something like a mustard leaf sesame paste, though of course the taste would be totally different from that of the Kumaon cuisine. 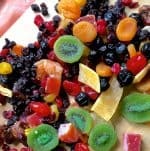 My honey lemon salad dressing has a milder use, though it is very tasty! With the tang of the lemon and the sweetness of the honey, it is best served with a leafy salad of Swiss chard leaves or chicory or radicchio leaves, and tomatoes or berries. 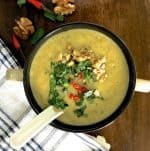 Try the honey lemon salad dressing with my Dandelion Greens Couscous Mango Salad – click on the name for the link to the Recipe. I have recently made the honey lemon salad dressing with a salad of mixed greens including romaine, arugula, kale and mustard leaves with red and white radishes and gorgeous cherry tomatoes, at lunch while visiting First Agro Farms. But more about that delicious lunch and the awesome visit, in another post! 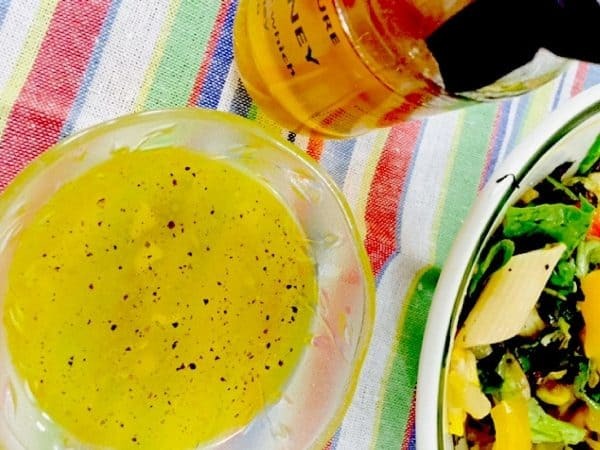 A tangy, garlicky Honey Lemon Salad Dressing with the lingering taste of sweet natural Kumaon honey, this healthy dressing goes well with a green leafy salad. Add honey, salt and pepper and whisk briskly. Or pour all the ingredients except the olive oil into a jar, close the jar tightly with its lid and shake it vigorously so the ingredients blend. Pour the olive oil in a slow drizzle into the honey lemon mixture, whisking all the while until the oil emulsifies. Set in the fridge to chill and for the flavours to set, for 10 minutes. This dressing may be used for upto a week if tightly covered and kept in the fridge, and only a dry spoon is used. 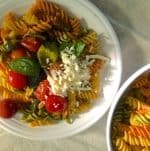 I added extra virgin olive oil, but you could use a sunflower oil instead, or a tablespoon of olive oil and a tablespoon of sunflower oil. I have a number of ‘foodie’ books! Yes we should try that! Oh yes please! That would be awesome! We could also look at the possibility of featuring a couple of books in which the making of food/ingredients/ food plays an important role, like ‘The Mistress of Spices’, ‘Chocolat’ and ‘Like Water for Chocolate’! The only thing better than a good book is good food and good company! Cheers ma’am! Thank you Kevin! Willl plan some interesting bakes for our next BYOB Potluck meeting! made my mouth water!! great blog you have here! can’t wait to see, and possibly taste the bread sometime!